Nigerian security agents have arrested the leader of breakaway Boko Haram faction Ansaru, the Ministry of Defence said. If confirmed, he would be the highest-level extremist ever captured in the country's 6-year-old war against Islamic jihadis. Ansaru leader Khalid al-Barnawi has a $5m reward on his head. The US Department of State named him a "Specially Designated Global Terrorist" in 2012. 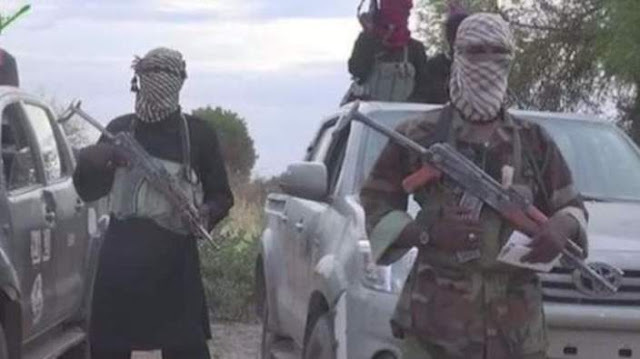 It is "a breakthrough in the fight against terrorism", Defence Ministry spokesperson Brigadier General Rabe Abubakar said in a statement on Sunday. He said security agents arrested al-Barnawi, originally named Usman Umar Abubakar, in the central city of Lokoja on Friday. His presence in a city 1 000km from the northeastern war front strengthens suspicions that Islamic militants may have infiltrated Fulani Muslim herders who have been creating havoc in Nigeria's Middle Belt in clashes over land and water with Christian farmers. Dozens of people have been killed in recent months. Ansaru is allied with al-Qaeda in the Islamic Maghreb and is known for kidnapping foreigners for ransom. Al-Barnawi allegedly masterminded the 2011 kidnapping of a British and an Italian construction engineer who both were killed in a failed rescue attempt by British and Nigerian special forces in northern Sokoto city in 2012. He also is believed behind the 2012 kidnapping of a German construction engineer who died in another botched rescue attempt in the northern city of Kano the same year. Ansaru took responsibility for the kidnapping of a French engineer in northern Katsina state in 2012 who escaped captivity more than a year later. Ansaru is believed to have broken away from Boko Haram in disagreements over Boko Haram's indiscriminate slaughter of Muslims. Both groups want to create an Islamic caliphate in Nigeria, a country of 170 million divided almost equally between Muslims and Christians.